From Facebook COO Sandberg, written in the wake of her husband's sudden death, a book about building resilience and moving forward after life’s inevitable setbacks. 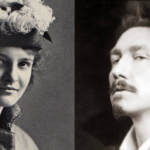 It is a remarkable achievement: generous, honest, almost unbearably poignant. It reveals an aspect of Sandberg’s character that Lean In had suggested but — because of the elitism at its center — did not fully demonstrate: her impulse to be helpful. She has little to gain by sharing, in excruciating detail, the events of her life over the past two years. This is a book that will be quietly passed from hand to hand, and it will surely offer great comfort to its intended readers. Sandberg exposes, with at-times heartbreaking honesty, the reality that nothing — not money, success or education, nor even the support of an online community — can inoculate you against the pain of grief that is delivered when least expected and very much out of the proper order of life. And in the telling of her own story, Sandberg becomes a most unlikely Every Widow ... time and again, Sandberg had me nodding my head in affirmation, uttering a silent 'Exactly right' or thinking, as I read a certain piece of advice, 'That would have been helpful' ... But the book is more than memoir, and so interspersed with such devastating scenes are equally powerful strategies for coping when your world has gone tilt. ...the candour of the book is at times uncomfortable. How Sandberg’s two children will feel in years to come about their mother’s willingness to publicly detail significant moments of their grieving for their father is moot. But, occasional winces aside, the book contains important messages both for individuals and for employers ... The call for a more compassionate workplace is an admirable one and, indeed, Option B is an admirable book. Not just because it is a testament to Sandberg’s courage in dealing with her husband’s death (as she points out, she had no choice), but because of her willingness to put herself out there again — despite the sometimes rancorous reactions to her first book — to draw lessons for others from her personal tragedy. 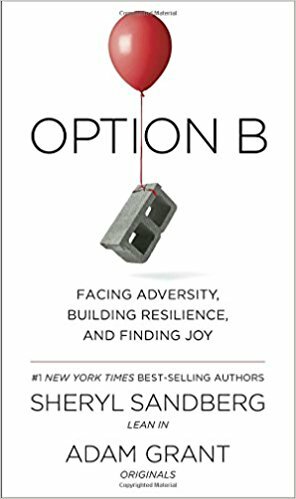 What did you think of Option B: Facing Adversity, Building Resilience, and Finding Joy?